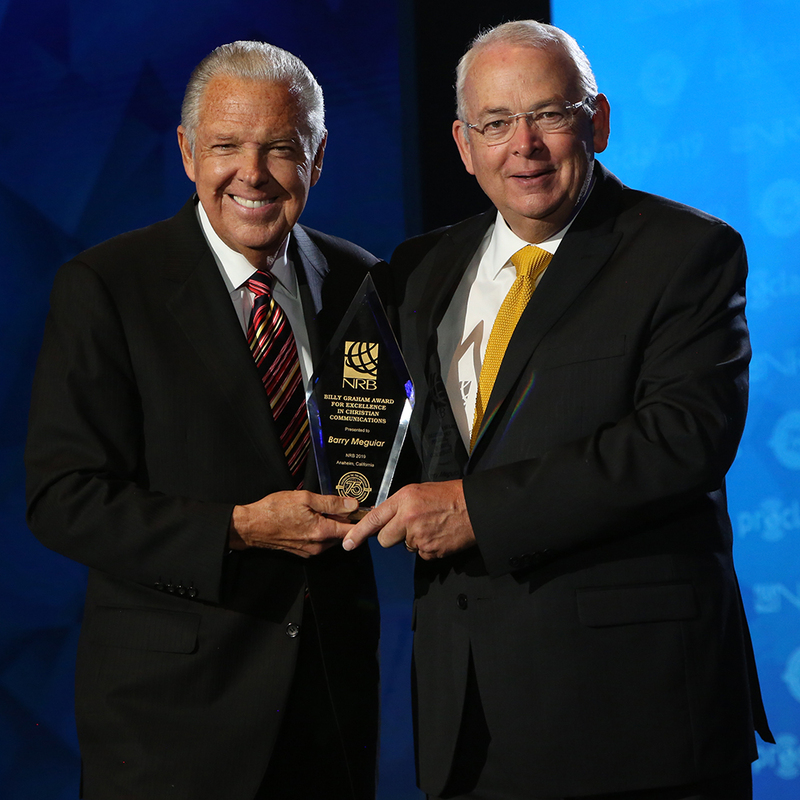 ANAHEIM, Calif. (NRB) – Barry Meguiar, president of Revival Outside the Walls, received the 2019 Billy Graham Award for Excellence in Christian Communications on Friday, March 29, during the Closing Gala at Proclaim 19, the NRB International Christian Media Convention in Anaheim, California. Billy Graham is the best-known broadcaster, pastor, and evangelist of his era. Dr. Graham exemplified a commitment to excellence, creativity, and biblical fidelity in his use of electronic communications in furtherance of the Gospel of Jesus Christ. The Billy Graham Award for Excellence in Christian Communications is presented to those who effectively and creatively use multiple electronic media technologies in fulfillment of their mission, while maintaining fidelity to the message of love, redemption, and hope found in the Holy Scriptures. The Billy Graham Award for Excellence in Christian Communications was one of 20 awards that were presented during Proclaim 19, which took place March 26-March 29, at the Anaheim Convention Center in Anaheim. For the complete list of 2019 award recipients, click here.